InBev SA shareholders on Monday backed the company’s $52 billion takeover of Anheuser-Busch – a deal that would form the world’s largest brewer under the name Anheuser-Busch InBev. Shareholders also approved a capital increase and share issue that would raise up to $10 billion to pay for part of the deal. That covers the existing equity bridge financing of $9.8 billion in place since the deal was announced in July, InBev said, with an extra margin to cover any major currency fluctuations until the deal closes. Shareholders of St.Louis-based Anheuser-Busch still neeed to approve the deal. Anheuser-Busch already plans to shed 1,185 positions – mostly by offering early retirement and not filling existing vacancies. According to the Associated Press ten angry beer drinkers are trying to derail the largest brewery takeover in history. The suit, filed in Anheuser-Busch’s hometown of St. Louis, does not seek financial damages but asks a judge to block the deal. The Department of Justice often reviews large acquisitions to determine if they are legal under U.S. law. But attorneys behind the lawsuit said they want to halt the deal regardless of the verdict in Washington. Shareholders of brewer InBev SA will vote Sept. 29 on the company’s $52 billion bid for U.S. rival Anheuser-Busch Cos., InBev said Thursday. The company said it also would ask shareholders to back a capital increase and the issuing of new shares that would raise up to $10 billion to pay for part of the deal. That would cover the existing equity bridge financing of $9.8 billion in place since the deal was announced in July, it said. InBev said it did not plan to increase capital by more than $9.8 billion but was adding an extra margin to cover any significant currency fluctuations until the company’s board decides how many new shares to issue and at what price. Three-quarters of InBev’s shareholders must approve the Anheuser-Busch acquisition, the capital increase and changing the name of the company to Anheuser-Busch InBev. InBev has tried to soothe American fears of job losses by promising to keep open all 12 North American breweries. Anheuser-Busch already plans to shed 1,185 positions – mostly by offering early retirement and not filling existing vacancies. InBev still has another few stumbling blocks before it can raise a glass. Mexico’s Grupo Modelo – 50 percent owned by Anheuser-Busch – claims that it has consent rights over the deal and is in talks with InBev. InBev also is planning to raise more money to cover the deal by selling off noncore assets. Analysts have pointed to Anheuser-Busch’s theme parks, but InBev says it would also consider selling some of its own businesses. There have been several ratings done on Rate Beer and Beer Advocate. and it seems to be getting mid level ratings – not great, not horrible. Most ratings seem to fall somewhere just below a three on Rate Beer and just under a ‘B ‘on Beer Advocate. There is nothing “wrong” with this beer, but if your first thought about a great domestic ale is Sierra Nevada Pale Ale you will likely be left wanting. The beer pours with a thick, rocky head that sits atop a very clear, copper body. Its aroma is mostly sweet malt with some citrusy hops apologetically peeking through. The flavor follows this theme with strong, nutty malt flavors dominating and some hops. The ale is drinkable but could easily become cloying after a couple. There also some that think this will be the next best thing since sliced bread. 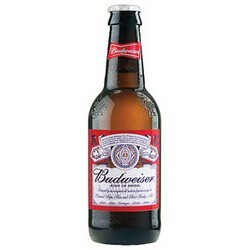 A-B is slamming millions of extra dollars into Budweiser’s marketing budget to promote it as the Great American Lager. 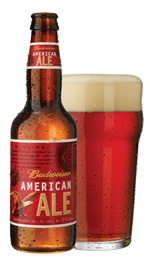 Peacock said the new ale, priced somewhat higher than regular Budweiser, is expected to enhance rather than diminish Budweiser’s image. They do say they will not push this as hard as their Bud Light Lime. I have no idea what that means. It seems to be something you can get down but many alternatives will leave it on the shelf. We will see. According to the Associated Press, brewer InBev SA’s second-quarter profit climbed 8.6 percent despite higher costs and weak sales in Russia and Europe as the company payed less in taxes. Leuven, Belgium-based InBev reported a net profit of ?542 million (US$808 million) for the three months ending June 2008, rising from ?499 million (US$680 million at earlier exchange rate) for the same period in 2007. This was largely thanks to a deferred tax asset that saved the company ?83 million (US$124 million), it said. It also grew sales in Brazil – where it supplies more than two-thirds of all beer – which helped outweigh shrinking sales in Russia and western Europe. Global sales were down 0.3 percent to ?3.71 billion (US$5.53 billion) from ?3.72 billion (US$5 billion at earlier exchange rate). InBev blamed a refocus on more lucrative premium brands that saw it lose market share on lower-priced beers. According to this story from the Korean Times beer imports have doubled in the past three years to Korea. According to the numbers Hooch, the fruit-flavored German beverage, was the hottest item at its stores with sales at 218.8 percent above last year’s, although beer enthusiasts may debate it being called a beer. Sales of Hoegaarden rose 172 percent year-on-year at GS25 stores, followed by Chingtao and Heineken posting 62.2 percent and 40 percent growths, respectively. However, industry watchers believe the demand for imported beer will continue to rise with consumers responding to differentiated styles and tastes, unlike local brands like Hite and Cass, which, despite enjoying strong consumer loyalty, have never been accused of being distinctive. Imports from the Netherlands, the home of Heineken, reached $4.25 million during the first half, a significant increase from $184,000 in 2005. Beer imports from Belgium reached $1.99 million, apparently a tribute to the popularity of Hoegaarden, and imports from Germany reached $1.11 million. Imports from Japan reached $3.61 million, nearly double that of last year’s $1.58 million. Imports from the United States remained strong, reaching $3.34 million during the first half.